WOW! 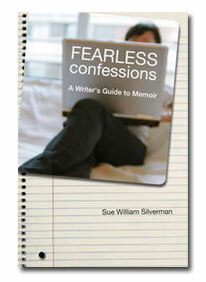 Women On Writing Blog: Sue Silverman, Author of Fearless Confessions: A Writer's Guide to Memoir, Launches her Blog Tour! Shame is powerful. 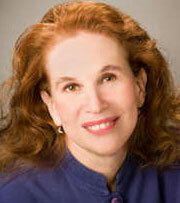 Sue William Silverman shows that Truth is even more so. I love her writing and her truth and the lessons she generously offers all of us who want to find and share our stories. Jerry and Michelle: thank you SO much for your comments. This support really means a lot to me. And it's great to be part of this blog! Thank you for clearing up the difference between an autobiography and a memoir (great question, Jody!). I recently wrote a book review about a celebrity's life story book, and I am happy to say I used the correct term--autobiography! :) Your memoirs sound fascinating. I would love to win the how-to book. THanks again for all the insight! I am in the process of writing my memoirs growing up as the daughter of a hellfire-and-brimstone-preacherman. I know Sue's book would help me tremendously in writing my book. This interview has already helped me, especially the part about overcoming the fear of the telling and just write for yourself to start with and pretend no one else will ever read it. I think this advise gives me the freedom to actually finish my own book. Margo: I love the story of your knowing to use the term autobiography!! Yes, celebrities write autobiographies; Ms. Ordinary Woman (like me!) writes a memoir! Kristie: I think that's so important that you're working on a memoir about growing up as the daughter of preacher. It means a lot to me that my advice is helping you overcome the fear of writing it! Your story--your voice--are important! Good luck with the writing. Great points here about the value of a memoir. I have always been drawn to reading memoirs and often had to sift through all the biographies in bookstores in order to find the memoir gems that were in the mix. It was always worth the sifting! I think it takes a lot of courage to write and share your personal story and I think that in itself makes for the start of a good story! PS - Coincidentally just finished reading Love Sick and found it to be really powerful. Am looking forward to checking out this new book to learn more about the writing process! And congratulations on what sounds like another wonderful, life-affirming and life-changing book. I've followed your journey for a while now, first having brought you into our women's center in Grand Haven, MI—The Gathering Place-and I believe we sponsored an event for your first book. This was in 1998, I believe, but I hope you will remember me (Jan Forrest, now Jan Lundy). Hi! I love the suggestions you give us about writing memoir, especially about conquering fear around self-revelation. I've learned this, as an author and facilitator: the more transparent we can be, the more we are able to heal and reclaim our inherent wholeness. And our healing, as you say, invites others to do the same. Memoir writing offers all of us a powerful invitation to live as our truest selves. Blessings on your journey and your continued good work! Kathryn--I'm glad you take the time to sift through books in the bookstores looking for memoirs, too!! Jan! Of course I remember you. Are you still in Grand Haven--or in the area? (I'm going to give a reading at the Bookman on Sept. 17, and it'd be great to see you again.) In any event, how wonderful to hear from you! Yes, exactly: the more we shed our secrets, the freer we are. Finally, for me, it was easier to write--to let all the secrets go--than to use all that energy hiding the truth. A memoir is meant to create intimacy between the writer and the reader. It should tell the deepest truth. I agree with your comment about not calling the "dark" topics negative, but instead use the word painful. Truth be told, happy is a hard sell, and sometimes evern more difficult to write. I'm working on a memoir about my husband's battle with alcohol and the downward spiral that led to his death. It isn't pretty, but it's honest. Your book sounds like a wonderful look at memoir writing. I will definitely check it out. HI, Annie: I'm so pleased that you see memoir the same way--that a memoir needs to tell the "deepest truths," regardless of how painful. The reason to do so is, I feel, to explore these topics, figure them out. Memoir, in this sense, is a journey. Your own memoir about your husband's alcoholism and subsequent death sounds very powerful...and an important journey for you to undertake, in the writing of it. I guess I've always felt the things in my life, while they may have seemed bad to me, weren't as deep or dark as those of so many other people in the world. So often I think I don't deserve to write about my "problems" since they may seem minor to others. Is this a type of fear, too? I always write better when I have a guide. I guess I need someone to hold my hand. :) I will definitely be checking out your book! Good luck with the tour! Thanks for sharing your insightful thoughts and for writing such a wonderful book. I've read Fearless Confessions, bookmarked several pages to read again, and reviewed it on one my A Book A Week blog http://donnamariev.wordpress.com. I'm looking forward to your visit on Donna's Book Pub this coming Wednesday. Your book about the Pat Boone Fan Club sounds fascinating! Hi, Kerrie: Yes, that IS a kind of fear, too. And I'd like, more than anything, to reassure you that your story is important! I think it's important NOT to judge ourselves against others. Mainly know, in your heart, to believe in yourself and the importance of your own narrative. All our stories are important and everyone has one to tell. If you feel strongly about your story and feel an urgency to write it, then readers everywhere will want to read it, too. In short, my hope is that you don't doubt yourself. Your voice is important! And having a guide, someone to hold your hand while writing, is a lovely thought! We all need guides. We all need support, to know that we're not alone in whatever our endeavor. I really wish you all the best with your writing! Irishoma: Thank you so much for the review and your kind comments about "Fearless Confessions." I always like to think of my books as marked up and bookmarked--to know that they are well used! I'm delighted by your interest in my "Pat Boone Fan Club" book. I hope to finish it before the end of the year! Kerrie: you're welcome! And I totally understand. I've always needed guides, too. And it means a lot to me that you shared this with me--with all of us here. This is a great blog site, with lots of support!! Thanks for the wonderful interview! The creative nonfiction genre has always been my favorite to write, but I (like Kerrie!) have struggled with wondering if my stories will really matter to anyone. :-) Your response to Kerrie resonated with me. Thank you so much! I'm pleased that my response to Kerrie was helpful to you, too! And it probably won't surprise you to know that you're not alone. I am such a total non-fiction writer, I have problems doing anything remotely creative. I'd love to read this book and find out how to bring out that other side of me. Yes, writing journalistically is different from writing creatively--or writing creative nonfiction. But slowly I switched and began studying creative writing. Once you're already a writer, then it's really a matter of learning different techniques. Don't you think that's right? I'd like to write a memoir someday--I've always written fiction loosely based on my life--but here's my question: Where do I start? There are many "chapters" of my life that can be complete books in themselves. I know it's important to focus on one area, subject, or series of events, in a memoir, but I have trouble figuring out exactly where that starting point is. For example, if I wanted to write about an abusive relationship I had with my ex-boyfriend, would it make sense to start at the beginning--when I met him? To help give readers some background? Or to start with a particularly emotional incident, or perhaps, when I left him? Since our lives are so intricately woven with experiences overlapping and time elapsing, I find it really difficult to leave things out. I don't know why that is--in fiction I don't have that problem. But since it's my personal life and I'm so close to it, it's hard to step back and observe myself as a story. Hi, Angela, great to hear from you, and that's a good question. 1) Maybe begin that particular story, about the abusive relationship, when the two of you split up. And then you can go backward in time, as flashbacks, to show how you met and became involved...while, at the same time, moving forward in time in a way that shows the series of steps that lead to the breakup, and what happened to you after. 2) Or, you could also begin at the moment the relationship becomes abusive. Set that scene--the first time the abuse happens. Then, the journey could focus on how you finally separated from him...while also having a flashback as to how you met. Of these two options (and there are probably others), I'm sensing that it might be more forceful to try the second one. What do you think? In a more general way, in terms of trying to figure out which "chapter" of one's life to write, I usually suggest you try freewriting. In other words, say there are childhood events you might want to write about; so, try freewriting those and see how much energy you discover, how much urgency you feel about those events. Then, think about another "chapter," say this ex-boyfriend, and try freewriting about him, too. In other words, as you're freewriting, you'll probably discover which area of your life is most gripping to you right now. And that would be the event to focus on for your first book or essay. Does this make sense? Please let me know if not, or if you have any questions!! It definitely makes sense! Thanks so much, Sue, for your detailed reply. You are the best! Hi, Angela, good!! I'm delighted that makes sense. I absolutely think you have a memoir here, that one could be crafted around this material. You're right: in terms of structure, there are similarities between memoir and fiction. In terms of where to start, the best place is always the point of impact. What has just happened that makes the story need to start NOW. What event best jumpstarts the action into "being." Those are usually the questions I ask myself when beginning any new piece. Then, once the story starts, just follow that theme, throughout. Your writing and your life's stories are incredible. I appreciate the journeys you continue to share with us and feel your passion for the lack of respect memoirs have been given. I can't wait to read this book and follow your tour. Thanks for sharing, yet again! Dear Amy, yes, voice is crucial in memoir, and I do devote an entire chapter to it in "Fearless Confessions"--that's how important it is. I agree: it sounds as if the adult voice is a crucial part of your story, to allow it to guide the reader, as it were, through the childhood sections. But, at the same time, it's important for it to be well integrated. Also, you might ask Rebecca (she's a friend of mine!) to note on your own manuscript the places where she thinks you might want to focus on that more adult voice. Overall, the point, I think, is for that voice NOT to sound like commentary, as if it explaining the experiences of the child "you," or persona. That's not the function of it. Rather, it is a more metaphoric voice that reflects upon the experience. So keep the word "reflection" in mind, as you write. Reflection doesn't mean remembering the past or commenting upon it. It's a search to see the past in a new light. And by allowing this adult voice to do just that, to evolve from the young voice as a questioning, reflecting, searching kind of voice, I think you'll be able to achieve more of that blending. I hope this helps even a little? Thank you so much for your question. Let me just add that I know this can be a tough craft issue to master. And a lot of it is just practice. I teach at another low-residency MFA program--at Vermont College of Fine Arts--and I always encourage my students to be a bit patient, too--writing is such a process. I wish you all the best with your memoir. And please tell Rebecca I say "hello"!! Thanks for the great interview. I'm really looking forward to reading this book. I think memoir writers can benefit from learning about the processes of other memoir writers. Hope to have the opportunity to meet Sue in the future. Any chance you'll be in the Baltimore area in the future? Thanks so much. I'm delighted you found the discussion about "Fearless Confessions" and memoir writing helpful!! Right now, I don't have plans to be in Baltimore. But you might check my website periodically to see my schedule (at www.suewilliamsilverman.com). It's good to hear from you, and I've truly enjoyed posting on this blog! Thanks for writing such an important book validating women's memoirs. I just pulled out of my storage closet a scrapbook from 1973-75, my sophmore-senior years in high school. This also coincides with my journal writing which I have carried on and off for almost 40 years. One day they will be the basis of my 'memoir'. We held a random drawing for the book giveaway contest by writing all the names on slips of paper and putting them in a bag. Congratulations goes to Kristie! What Makes a Great "Beach Book"?